Over the next one or two hundred pages, Professional Node.js takes you through the core basics of the platform. Asynchronous flow control, event-driven execution, etc. Not exactly a full survey of the core API, but rather a focused deep dive on file and networking I/O. If you’re going to spend most of your time working within a framework such as Express, then it’s overkill. 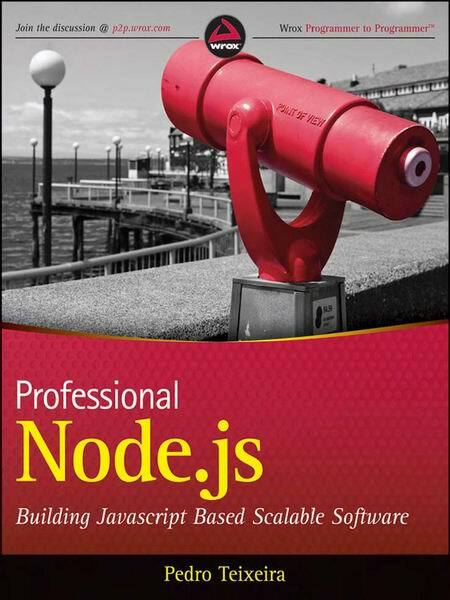 However, there are many uses of Node outside that box, and this book does a good job covering those fundamentals. Things do get a bit muddled as Teixeira moves out of core Node and into third-party libraries and frameworks. Express is so ubiquitous at this point, it might as well be part of Node in same sense that Rails is associated with Ruby. Professional Node.js has a decent chapter surveying that framework. There is also good coverage of Socket.IO and real-time applications. All in all though, the challenges faced here are also faced by any book on the subject. Professional Node.js does a great a job, and is a solid source for learning the Node. js platform.